[Please note: after this article was published, the Wikipedia page it references was blanked by apparent vandalism. A Wikipedia contributor going by the name of "Slopswool" referenced this editorial, accusing it of "attempting to discredit this wikipedia article, and basically encouraging Apple fans to edit it according to their views." While this editorial does indeed discredit the original misleading Wikipedia article, there is no truth in the accusation that it also was in any way "encouraging Apple fans to edit" the flawed Wikipedia article "according to their views." AppleInsider does not encourage nor condone the vandalizing of any content in Wikipedia. It is also not useful to simply inject additional opinions into Wikipedia articles. At first glance, Wikipedia's article on the first California Apple v. Samsung trial appears to be an attempt to create an unbiased legal outline of events, one that is painstakingly researched and carefully sourced. But as is the case whenever the free online encyclopedia ventures into a subject involving any sort of controversy, the side Wikipedia presents is the side of whoever has lots of free time and resources to devote to telling one. 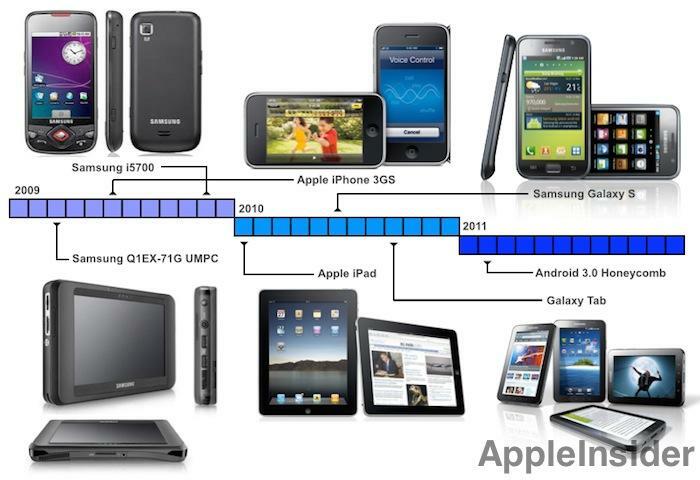 A series of legal arguments and patent claims between Apple and Samsung that Wikipedia could have reported in factual depth is instead substituted with a slanted narrative flattering Samsung, a company that has, in its third year of legal wrangling with Apple, so far lost major infringement cases while winning no real significant legal recognition of any of its own patent infringement claims in any jurisdiction. Anyone reading Wikipedia's ostensibly encyclopedic recounting of the initial global lawsuits between the two companies would only get one side of the story: Samsung's. Wikipedia's narrative devotes more than quarter of its citations to establish the idea that Apple repeatedly presented faked evidence, that its patent claims were illegitimate nonsense and that the legal system has awarded it excessive patent protection while giving Samsung's own claims far too little attention, when actually the reverse is true in each case. Wikipedia's report on the legal skirmishes between Apple and Samsung pieces together a conspiracy theory that reads like criticism of the historicity of NASA's moon landing, but at least in the case of Apple and Samsung, we don't have to leave the earth to investigate the actual facts. Wikipedia's coverage of Apple v. Samsung legal arguments, assembled by anonymous community members, focuses on a series of "controversies" Samsung and its supporters have invented as a smokescreen to obscure facts, legal findings and both companies' intents and culpability across their global patent infringement disputes. Of the 92 external sources the article cites in recounting the global disputes involving 50 cases in more than 9 countries between the two parties, 8 concern Samsung accusations of images that Wikipedia says were "tampered with in order to make the dimensions and features of the two different products seem more similar." The subject of Apple's purported "evidence tampering" accounts for nearly a tenth of the entire article's sourcing, despite the fact that no court has actually found that there was any "tampering" of evidence by Apple that had any impact on any of the legal issues being decided or the subsequent verdicts in any case worldwide. Instead, Judge Koh ruled during the trial that accusations by Samsung that Apple had "doctored" photographic evidence were simply "not credible." One of these sources cited in the Wikipedia article is actually a post by blogger Thom Holwerda, which referenced an accusation by Samsung of "evidence tampering" in a Dutch trial. The paragraph-long blurb ends with, "Just goes to show, once more, how far Apple is willing to go to stifle competition through the legal system - lying, cheating, manipulating. What a classy, premium company, that Apple!" Wikipedia's article, however, makes no mention of the fact that Apple also accused Samsung of tampering with evidence, not just by presenting product images that "are not to scale or are misleadingly scaled," but also to the point of hiding and obscuring relevant evidence from the jury. Apple stated in court that Samsung had doctored the material presentation of its products to "remove the screen, which may distract the jury from the asserted design," adding graphics "that obscure portions of the accused devices, distracting from the overall impression of the accused designs," and was careful to "only show partial views of the asserted designs and trade dress." Wikipedia doesn't even mention that. It also doesn't mention that the judge dismissed Samsung's evidence claims; instead, it flatly insists that photos Apple entered into evidence "were later found to have been tampered with," citing a Wall Street Journal article that never even implied that, along with a series of fansite blog "sources" including Holwerda's. Wikipedia's article also twice describes an Apple design patent as involving "rounded corners," a meme Samsung seeded throughout the trial. After losing, Samsung issued a statement to the press boldly insisting that the trial only meant that "patent law can be manipulated to give one company a monopoly over rectangles with rounded corners." Months later, Samsung attorney Bill Price shifted gears dramatically when he admitted to a new jury that the 13 Samsung models Apple challenged in the first trial did in fact "contain some elements of Apple's property" and that the infringing company did rightly owe Apple "a huge sum of money." That certainly wouldn't have been the case if Apple had actually built its arguments around a claimed ownership of "round corners." 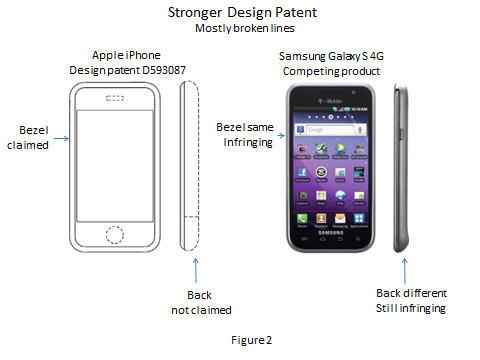 The only graphic Wikipedia presents in the article is used to suggest that Apple's design patents were excessively broad because they didn't also define the back of the device, pointing out that the back of Samsung's iPhone 3GS clone diverges from Apple's original design. The argument that a one-sided photocopy isn't actually a photocopy if there's something else printed on the back side, or that the only way a patent can legitimately be infringed is if there's an indistinguishable copy so perfect that nobody can tell them apart, is a key message Samsung and its supporters worked to spread around blogs throughout the trial, but it is not a legally legitimate idea. At the same time, Wikipedia also makes no reference to the widely reported incident where Samsung's attorney couldn't identify which tablet was Apple's and which was Samsung's when U.S. District Judge Lucy Koh held up examples of each in court. Other facts that didn't make it into Wikipedia include actual evidence presented in the trial that detailed that Best Buy had reported issues with customers returning Samsung's tablets, complaining that they'd thought they had bought an iPad; or testimony that industrial designers had warned Samsung that its Galaxy S "looked like it copied the iPhone too much," or that even Google had admonished Samsung, saying that its tablet designs were "too similar" to Apple's. In fact, a key cornerstone of Apple's case, the 132 page "Copy Cat" document Samsung created to detail what it needed to change to make its Galaxy products look and work as close to Apple's as possible, isn't even alluded to anywhere in Wikipedia's article outlining the two companies' legal issues. None of those salient, relevant facts that most certainly influenced jurors' opinions are detailed in Wikipedia's outline of the trial. Instead, Samsung's doublespeak and talking points are repeated over and over by Wikipedia volunteers. 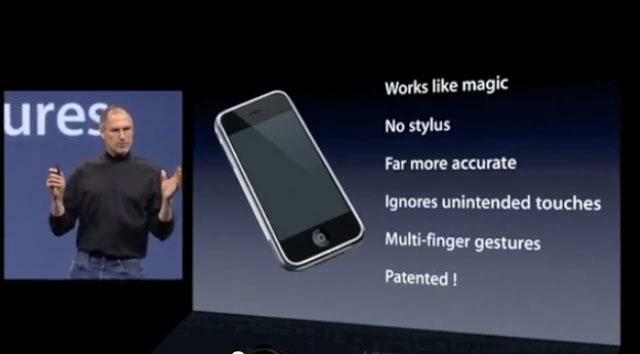 Rather than seeking to add more factual evidence to Wikipedia's outline of events, one of the article's many editors decided to add further revisionism by watering down the court's finding that Samsung "copied key features of both the iPhone and iPad" with the nebulous idea that it had only "used some elements of Apple's design." That was impossible to present in any other way, because by that point, Samsung's own attorney had admitted that the 13 Samsung models Apple challenged in the first trial did in fact "contain some elements of Apple's property" and that the infringing company did rightly owe Apple "a huge sum of money." At least another 17 citations in Wikipedia's article are used to attack the legitimacy of the jury that awarded Apple damages. Browbeating the jury's reputation in a passive voice, Wikipedia states that "the jury's decision was criticized for being Apple-friendly possibly leading to increased costs for Android smartphone users," while questioning the jury's impartiality and how quickly it reached its verdict. And while the article emphasizes that the jury awarded Samsung "zero damages in its counter suit," it doesn't cite any sources examining why the jury tossed out all of Samsung's patent claims or why "the jury decided after the first day of deliberations that it believed Samsung was in the wrong." It just portrays that decision as being rash and unfair. While journalists rarely cite Wikipedia, many members of the media (and many consumers curiously observing the case) reviewed the article in order to grasp the legal complexities of the first trial. Despite initially appearing as a compilation of research to readers who discover it, Wikipedia's trial article is really just stew of misinformation and unsupported criticisms that ignores the vast majority of the evidence and arguments actually presented at trial. To provide a better sense of the real issues involved in the second trial between Apple and Samsung, a subsequent segment will detail the patents and evidence the two companies will begin arguing next week.